For the wool look without the wool price, this knit is popular for standard weight outerwear jackets such as letterman jackets. 1265-22 is considered our highest quality acrylic knit option. The spandex is knitted into every course of the base to provide “lifetime” shape retention with excellent stretch and recovery, along with added bulk. 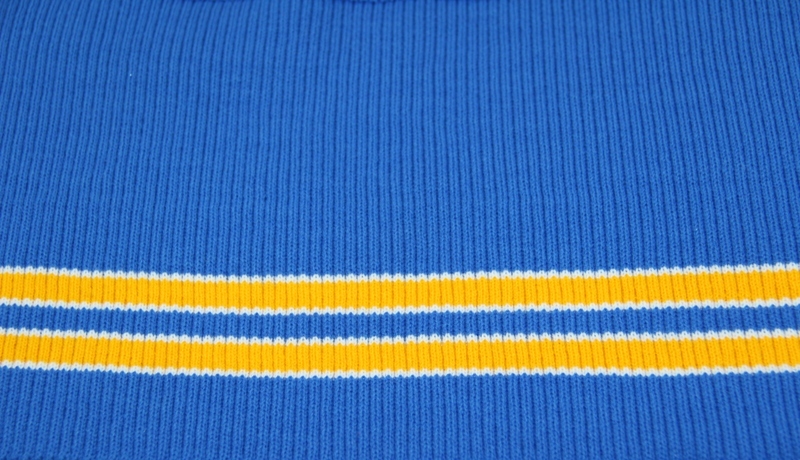 Our 1265-22 rib knit is generally produced 38” long, and comes continuous on a roll. For an option in this style with stripes see style 5265-22.